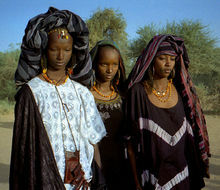 This is the history of Niger. See also the history of Africa and the history of West Africa. 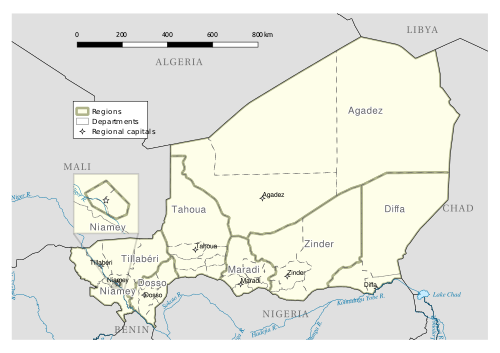 Politics of Niger takes place in a framework of a semi-presidential representative democratic republic, whereby the President of Niger is head of state and the Prime Minister of Niger head of government, and of a multi-party system. Executive power is exercised by the government. Legislative power is vested in both the government and the National Assembly. Lieutenant Colonel (ret.) Mamadou Tandja is a Nigerien politician who was President of Niger from 1999 to 2010. He was President of the National Movement of the Development Society (MNSD) from 1991 to 1999 and unsuccessfully ran as the MNSD's presidential candidate in 1993 and 1996 before being elected to his first term in 1999. While serving as President of Niger, he was also Chairman of the Economic Community of West African States from 2005 to 2007. Elections in Niger take place within the framework of a semi-presidential system. The President and National Assembly are elected by the public, with elections organised by the Independent National Electoral Commission (CENI). Seyni Kountché was a Nigerien military officer who led a 1974 coup d'état that deposed the government of Niger's first president, Hamani Diori. 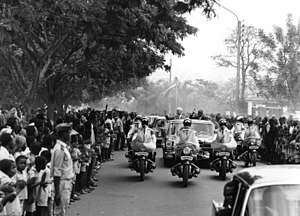 He ruled the country as military head of state from 1974 to 1987. Stade Général Seyni Kountché, Niger's national stadium in Niamey, is named after him. 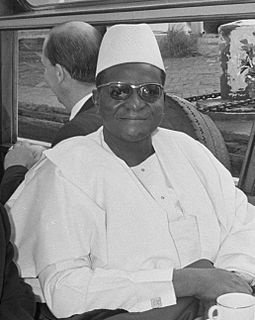 Hamani Diori was the first President of the Republic of Niger. He was appointed to that office in 1960, when Niger gained independence. Although corruption was a common feature of his administration, he gained international respect for his role as a spokesman for African affairs and as a popular arbitrator in conflicts. His rule ended with a coup in 1974. 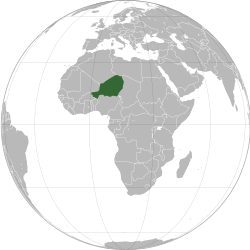 The Nigerien Progressive Party – African Democratic Rally is a political party in Niger. It was the leading political party of the pre-independence era, becoming the sole legal party of the First Republic (1960–1974). It was led by Niger's first President, Hamani Diori. After the end of military rule, the party reappeared as a minor parliamentary party led by Diori's son, Abdoulaye Hamani Diori. 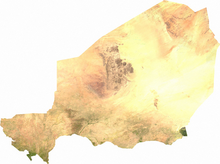 The unicameral National Assembly is Niger's sole legislative body. The National Assembly may propose laws and is required to approve all legislation. 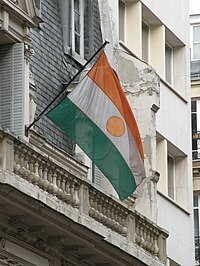 The Republic of Niger has had seven constitutions, two substantial constitutional revisions, and two periods of rule by decree since its independence from French colonial rule in 1960. The current "Seventh Republic" operates under the Constitution of 2010. 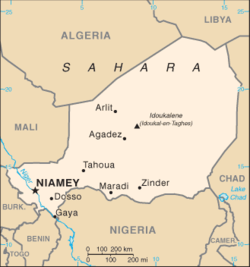 The 2009–2010 Nigerien constitutional crisis occurred in Niger due to a political conflict between President Mamadou Tandja and judicial and legislative bodies regarding the Constitutional referendum that opponents claimed was an attempt to extend his mandate beyond the constitutional maximum. It was held on 4 August 2009 before a parliamentary election which was mandated to take place by 26 August 2009. 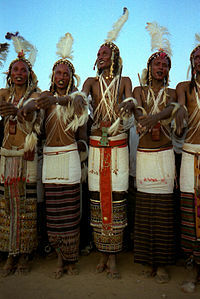 The crisis eventually led to a coup d'état by military leaders who overthrew President Tandja and formed a ruling junta. 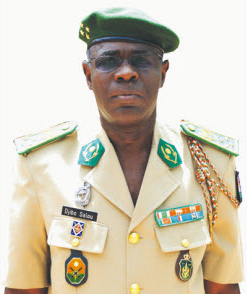 Lieutenant General Salou Djibo is a Nigerien military officer. After President Mamadou Tandja's attempts to remain in power after the end of his term, Djibo led the military coup of 18 February 2010 that ousted Tandja, after which he became the head of the Supreme Council for the Restoration of Democracy. The Supreme Council returned power to the government after the 2011 elections.